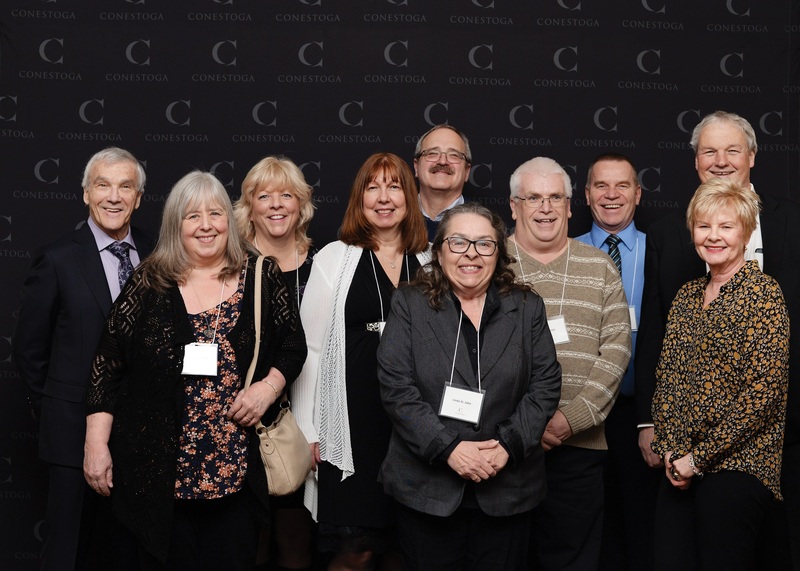 On January 31, the Conestoga community recognized college employees who have recently achieved milestone anniversaries at the college -- 10 to 40 years of service, as well as those who have retired. Together, the 275 honourees, celebrated at the Guild Reception at Bingemans in Kitchener, have contributed more than 4,000 years of service to the college. Conestoga's Guild Reception was held January 31 to celebrate employee milestones and retirements. Together, the 275 honourees have contributed more than 4,000 years of service to the college. Among the honourees were Sharon Clarke, Duanne Shadd and Helena Webb who are each celebrating 40 years of service at the college. Recent retiree Geoff Johnstone was employed at Conestoga for 48 years, and two honourees, both recognized for 30 years of service, are also Conestoga graduates. As part of the celebration, President Tibbits was congratulated on his thirtieth anniversary at Conestoga. He stepped into his role in 1987 and has guided the growth and transformation of the college ever since. Over the last year, more than 100 new full-time employees have been hired at Conestoga to support expanded programming, contribute to student success and build essential capacity to serve student needs, industry partners and the community. The college now has approximately 1,200 full-time employees.